Smart football predictions, stats and odds comparison for all major European competitions. Build your accumulator with the best predictions and statistics and join the most professional betting community. All the accumulator football tips you need in one place. 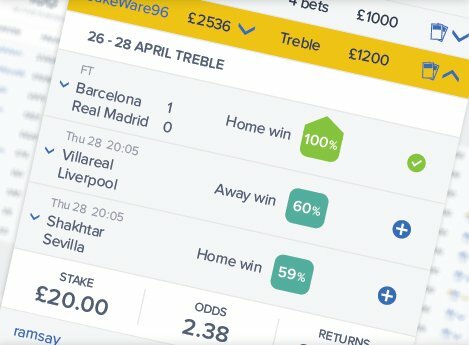 KickOff’s community of tipsters and bettors regularly beat the bookies using our unique algorithm to predict results, scores and many other markets. See what the community is predicting and copy their bets. 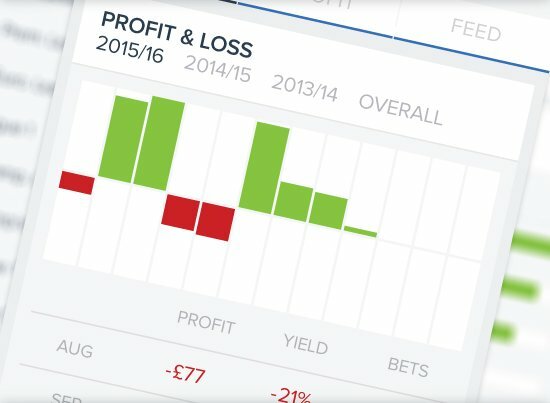 ‘My Bets’ provides your betting history and shows which leagues, markets and bets are winners each month. Keep on top of your profits and use it to develop your strategy. 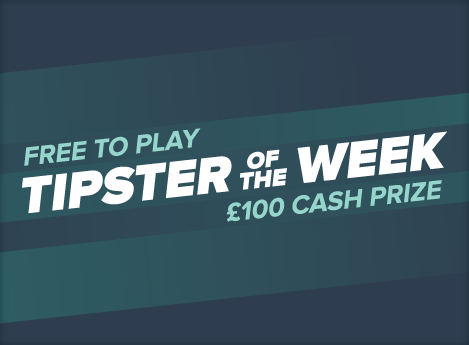 We reward our most successful tipster every single week with a cash prize of £100. It's paid straight to you and there are no catches. All bets saved on the site are counted (max. 10 per day) and the tipster with the highest yield after 7 days wins. Entry is completely free. Welcome to KickOff, the home of free football tips and football match predictions. Football predictions and statistics to help you bet more successfully today, tomorrow and the whole weekend. Here you’ll find free football tips & predictions for every major European league and competition on a weekly basis to help you build your betting strategy. Including mid-week and weekend fixtures, all major leagues, such as premier league, championship, la liga games as well as all major teams such as Arsenal, Chelsea, Manchester United, Real Madrid, Barcelona, Bayern Munich and PSG, not forgetting lower league teams also. We cover all footy games played today, tonight, tomorrow and the weekend. 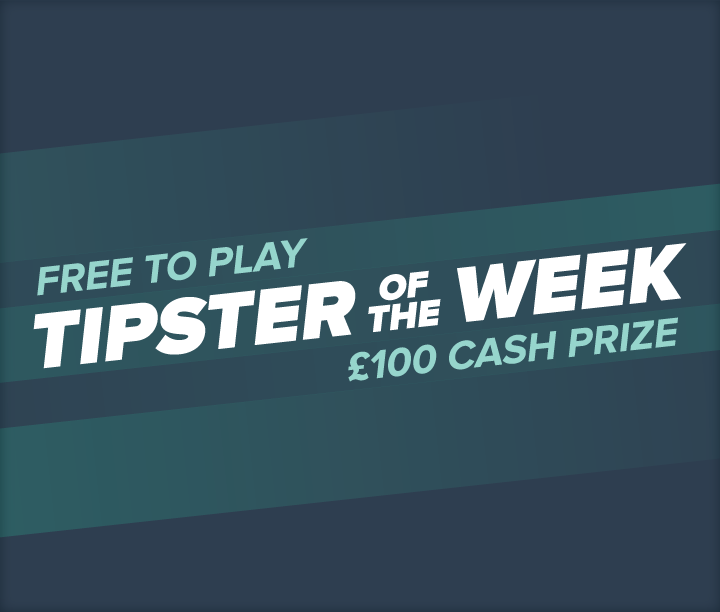 At KickOff you are the football tipsters; sign-up to create your own bets and follow winning users – copying their bet slips, as well as tracking your own bets and accumulators. See what type of bets are winning for the community too. Every prediction is supported by detailed statistics and analysis, giving you reassurance when you're copying a bet. 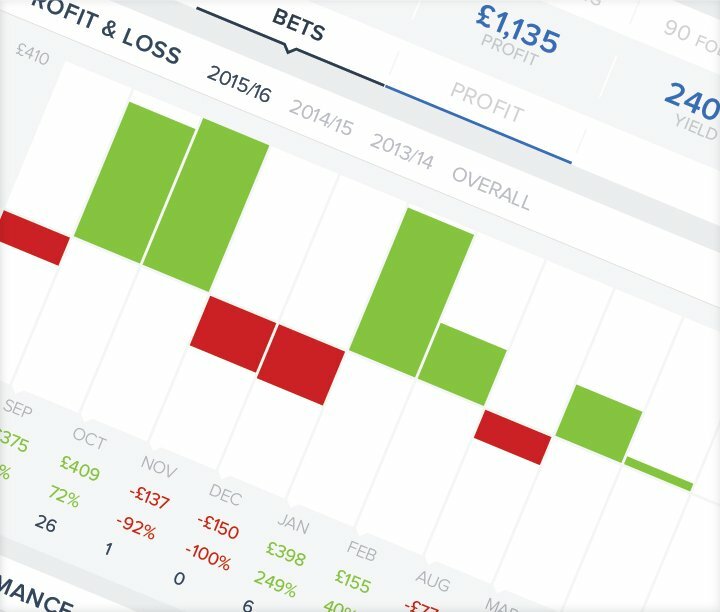 Once you have an account we track all your bets in real-time, as well as recording all your historic betting activity. You can use this information to improve your betting or take a look at the profiles of other users to decide whether they are worth following or copying. 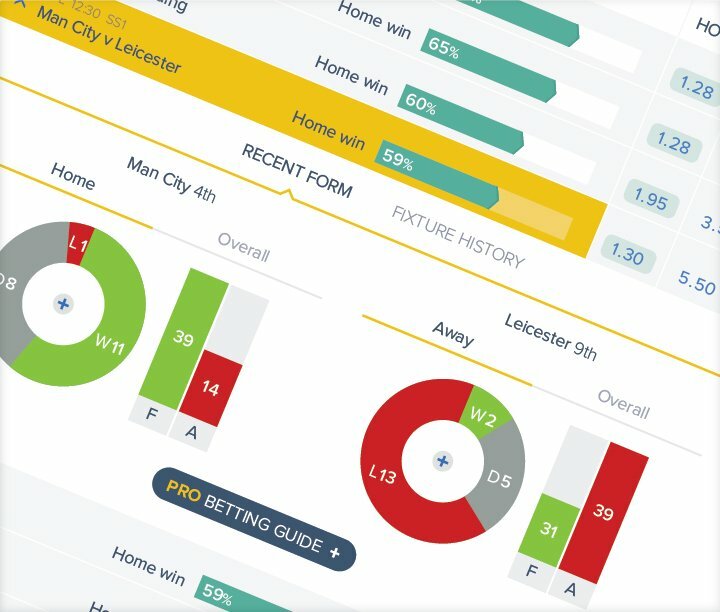 KickOff is the ultimate football score predictor site, with our range of tools giving you unparalleled insight into exactly which football bets you should pick. We cover six markets in the Acca Smacker: Win-Draw-Win; Both Teams to Score; Both Teams to Score and Win; Double Chance; Over-Under 2.5 Goals; and Team To Score First. All our best UK football betting tips across these markets are included under ‘Top Predictions’, helping you to predict the correct score. 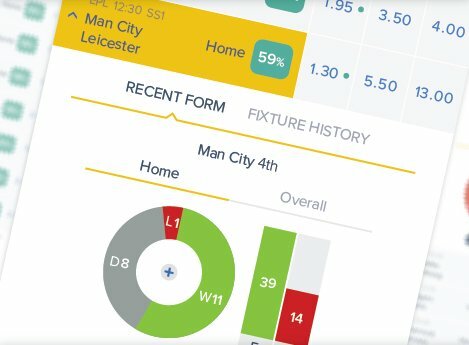 Our algorithm uses official match data to assess the comparative strength of teams across a range of popular betting markets, for example football score predictions. 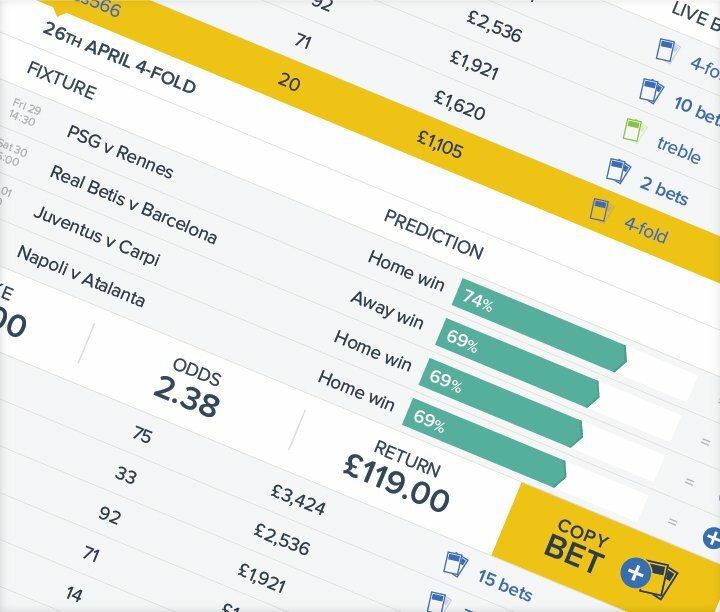 All our free predictions are supported by relevant match statistics and form guides – giving you an understanding of exactly how our tips are formulated.And if you’re looking for free bets or enhanced odds to bet with, we outline all the latest offers from the best betting sites. We provide detailed data for every match across all major competitions and football league tables. Before you place your bet, compare the odds, best free bets and offers available. Get up-to-date tips for all matches. Check out our free betting tips for the latest Premier League fixtures, Championship, Champions League and Europa League games. See what the top punters are backing at any given time. Our live bets section shows all the latest recorded bets in the community. You can visit the page to copy any bet, or selections from the bet, with just a few clicks. You can also keep up with today's top tips & live scores on our social media feeds. Originally set up to act as an aid to help punters with their football betting, making use of a specially-created algorithm to generate a variety of football betting tips. The site has grown into a community of successful football bettors from around the world. We believe we offer the best place to get your football results predictions. So what are you waiting for? KickOff: Smart betting made simple.